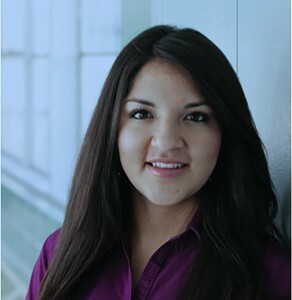 Utah Latinos reach for higher education with a BYU student for a mentor. BYU student Dayan Bernal (BA ’10) faced a real-world challenge when she crossed the street to teach at Provo High School: the 10th graders in her class didn’t seem like college material, even to themselves. Some had recently moved to Provo from other states or nations. Many worked nights to help their families make monthly rent payments. All of them struggled with schoolwork and had failed one or more classes already in their young high school careers. For her BYU honors thesis, Bernal developed a college-prep course for Latino students with the help of a faculty mentor and a university grant. Twice a week she taught 25 struggling Provo High School students. Three years later, 17 of them have wrapped up their first year at college campuses around the state, and they credit a determined BYU mentor. “If it weren’t for Dayan and her time and work, I don’t think a lot of us would have graduated or even thought about college,” says Tabby Davila, now an education major at Utah Valley University. Bernal’s personal academic journey is no less remarkable. The daughter of Bolivian immigrants, she became the first member of her family to graduate from college, receiving a Latin American studies degree from BYU last April. At Provo High, her first hurdle was getting the students to believe in themselves. She arranged guest lectures by fellow Latino BYU students and local professionals who could personally relate to the students’ situations. And Bernal refused to accept any excuses for not dreaming big. Before long, her enthusiasm caught on with the students. Gary Guanuna recalls Bernal pushing him to attend her after-school tutoring even though it conflicted with his work schedule at a local pizza place. As his gradesimproved, Guanuna recruited others. When the school year ended, Bernal finished her thesis, but she wasn’t done. She organized a summer class to prepare students for the ACT college entrance exam. Most of the students stuck with her plan, but Bernal had left on an LDS mission to Chicago by the time they took the exams and later applied to college. She lost contact with some of the students who had moved away by the time she returned to BYU. Today 17 of her pupils are enrolled at the University of Utah, Utah Valley University, and LDS Business College. Bernal plans to apply to law school and to start a local nonprofit to help disadvantaged youth prepare for and complete college degrees. “Education does not only provide higher economic status, it gives you opportunity and freedom to make better choices in your life,” she says.